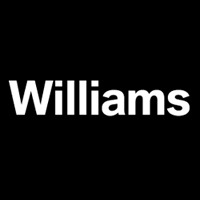 Williams Motor Company, or Williams Group, is an award-winning car dealer group with a history dating back over 100 years. The dealership has over 10 state-of-the-art showrooms in towns and cities like Bolton, Liverpool, Manchester, Rochdale and Stockport. It is a franchised dealer specialising in the sale of vehicles from four popular marques – BMW, Jaguar, MINI and Land Rover. On top of this, Williams Motor Company dealerships offer a number of aftersales services, provide finance options and lease vehicles to business customers. The Williams Motor Company was founded in 1909, under the name Williams Wheelwright Works, by John Henry Williams. It initially began life as a repairer of horse drawn vehicles for London and North Western Railway, moving into motor maintenance in 1926 and establishing Williams Motor Company in 1954. In 1960, Williams Motor Company opened its first car showroom. Come 2008, and the business had won the BMW and MINI ‘Dealer of the Year Award’, and the company’s MINI Manchester dealership was awarded the Regional Dealer and National Used Car Dealer Award for the fifth year running. At Williams outlets, customers can find a range of 4x4s, convertibles, hatchbacks, SUVs, saloons and coupes, amongst other body styles. The dealership sells electric cars from the BMW i range, too. Used vehicles from other manufacturers, such as Audi, Ford, Fiat, Mercedes-Benz, Nissan, Porsche and Vauxhall are available, while new and used BMW motorcycles from BMW are also for sale.